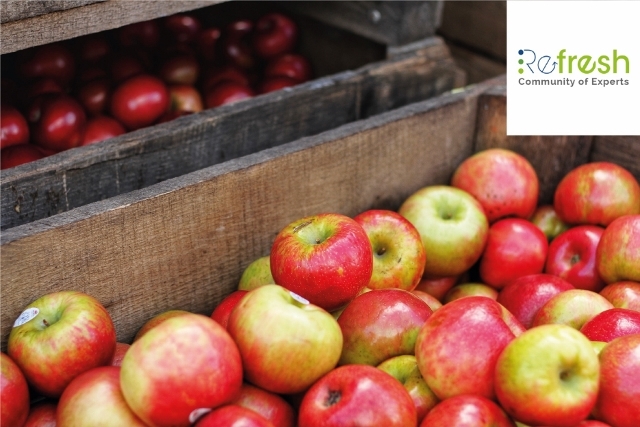 Bringing together food waste experts from across Europe, the REFRESH Community of Experts (CoE) has launched a series of four webinars on 'Tackling Food Waste Across the Supply Chain'. The series demonstrates how policy makers, manufacturers, retailers, distributors, municipalities and many more organisations involved in the food supply chain can effectively address food waste. This month-long webinar series, hosted from 9 April to 2 May 2019, includes expert speakers from ten institutions. The webinars offer an opportunity to gain insights from case studies, ask questions of the speakers and get signposts to further information. REFRESH ("Resource Efficient Food and dRink for the Entire Supply cHain") is an EU funded project acting against food waste. 26 partners from 12 European countries and China work towards the project's goal to contribute towards Sustainable Development Goal 12.3 of halving per capita food waste at the retail and consumer level and reducing food losses along production and supply chains, reducing waste management costs, and maximizing the value from unavoidable food waste and packaging materials. REFRESH runs from July 2015 until June 2019. Ecologic Institute is leading REFRESH's Work Package 7 on Dissemination and is involved in Work Package 2 ("Business Engagement - Frameworks for Action"), and Work Package 3 ("Policy Framework for food waste prevention, recycling, and reuse").